This Profit Investment review explains why you have to avoid this investment program, it’s a scam. 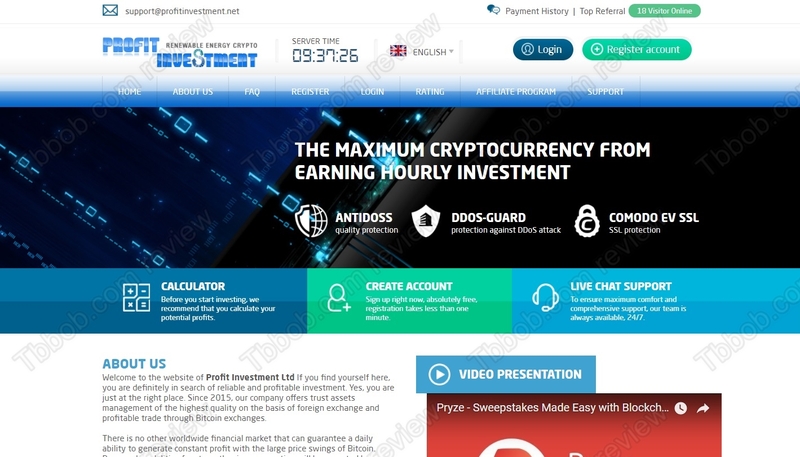 Profits Investment Ltd claim to be a company that is investing in currencies and cryptocurrencies. This allegedly results in big profits that you can get your share of. The investment plans offer up 19.2% percent per day, which means 576% per month and 7008% per year. So, can you really multiply your investment by 70 in one year with Investment Profits? The first thing we noticed is that Profit Investment Ltd is a fake company. On the website you will find links to different registrations, but it is a total mess. First there is this weird yellow certificate from Hong Kong and British Virgin Islands at the same time (? 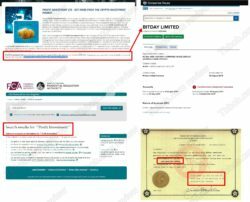 ), but there is a name of another scam on it: HYIP Reactor Limited. Then there is the UK registration number 10351681, but also this one belongs to another company – Bitday Limited. 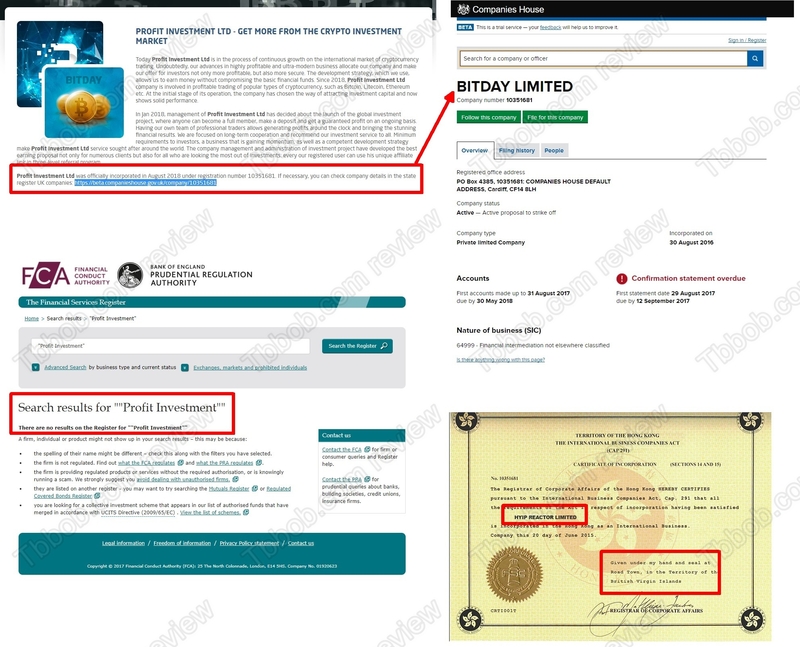 So Profit Investment obviously is not registered nor licensed anywhere, certainly not with the Financial Conduct Authority, as you can see on our image. By the way, the Profit Investment website does not exist since 2015, it has been crated in December 2017. Then you should look at the investment plans. 576% per month is a total nonsense, it is a scam number, no legitimate business can offer this. That’s the reality. This means that Profit Investment is a Ponzi scheme, which means that if some profits are paid at the beginning, it will be only thanks to new deposits being used for that purpose. As you can imagine, Ponzi schemes always collapse, because there always come the day when withdrawals start exceeding deposits. Profit Investment is a scam that will collapse soon and money will get lost. Stay away from it! If you are really interested in cryptocurrency trading, try it on a free demo account with a regulated broker. You need to learn all the necessary things and understand the risks, before you start trading with real money.